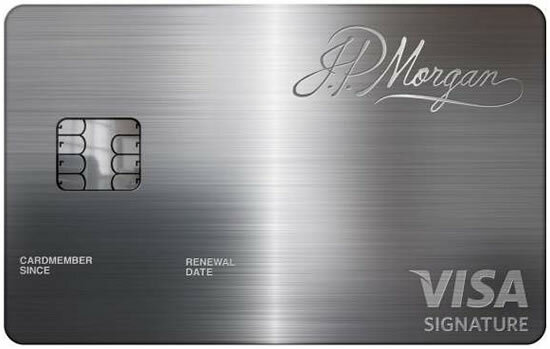 J.P. Morgan definitely surprised us when we found out about its elite Palladium Visa Signature card. The Palladium credit card definitely makes us consider a few things. First, the card itself is made of a rare silver metal that resembles platinum and 23 karat gold with laser engraved cardholders info which alone gives the card a value of $1,000. Even more amusing, the card holds an annual fee of only $600! and has no preset spending limit. Some of the perks included are unlimited complimentary access to over 600 airport lounges worldwide, Marquis Jet 1-hour bonus flight time, top-tier concierge service and various other travel and purchase benefits. Locking in a Palladium card won’t be so easy, in fact it might actually be harder than getting the Visa Black Card or Centurion Card by American Express. The Palladium card is only offered to private banking clients of J.P. Morgan Private Bank, Investment Bank, Treasury Services or Commercial Bank where the average client has $30 million in an account.